Meliá Athens, where you will enjoy a a truly memorable stay - in the city's ultimate urban oasis. Against the backdrop of the Acropolis and Lycabettus Hill and in the very heart of the Greek capital, Meliá Athens Hotel offers unsurpassed facilities and ultimate luxurious accommodation. One of the city's widest selections of fine dining options, outdoor swimming pool on the roof top, pool bar and restaurant with breathtaking view to the historical monuments operating during the summer months and a state of the art health club with cardiovascular equipment, make the hotel the ideal choice both for the leisure and the business traveller. 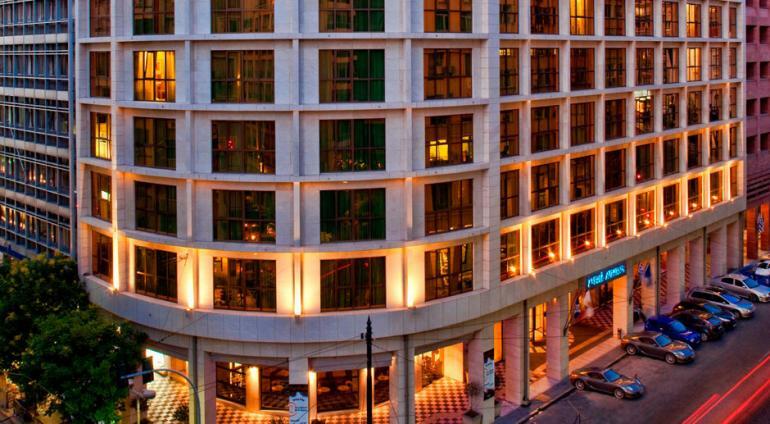 Distinctive and welcoming, the Athens Imperial is one of the city’s most stylish and vibrant hotels. Athens Imperial Hotel monumental facade ushers guests into a tastefully furnished and arty interior that combines contemporary decoration with timeless elegance. Its state-of-art business facilities can transform guestrooms into an office and host conferences and meetings for up to 1,400 people, while the 7th floor has been tailored to the needs of discerning business executives. 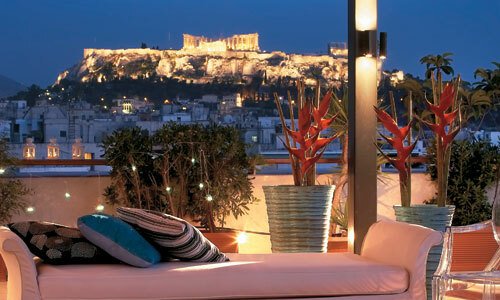 Overlooking the city from the roof garden, facing the Parthenon while enjoying a cocktail by the pool, is the perfect escape into a relaxing environment without leaving the hotel’ surroundings.